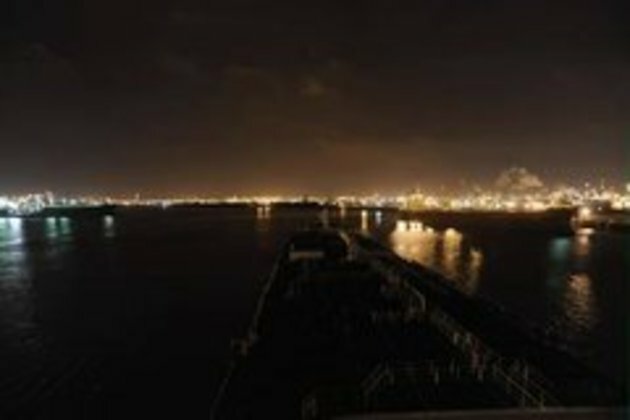 A time-lapse video made by setting a camera to take photos at six second intervals during a trip outbound on the Houston Ship Channel. The video represents an actual time of over 3 1/2 hours. Too bad it's cut, I really wanted to see it end its journey. I will have to say that this video is very boring. Why did I watch this? I miss a dusk and / or a dawn. Dude, now I appreciate anything imported from there, I thought driving up to see my parents took long long enough!